If your company is involved in engineering plastics or other industrial products and you need assistance to do more effective marketing then the team at OB2B Industrial Marketing & PR can help. We cover all industries, but have particular expertise in metals, polymers, engineering plastics and thermoplastic composites. We are able to offer marketing and publicity support to a wide range of industrial companies, from producers of machined or moulded engineering plastic, metal or ceramic parts to suppliers of raw materials such as injection moulding resins, compounds, fillers and masterbatches. OB2B Marketing & PR has industry specific experience and technical knowledge about engineering materials because the founder of the company is a degree qualified materials scientist, who has worked for over 25 years in industrial sales and marketing roles for multinational manufacturing companies such as: Polypenco Ltd., DSM Engineering Plastic Products Ltd. and GE Plastics BV, marketing leading brand names such as: Nylatron ®, Fluorosint ®, Delrin ®, Vespel®, Torlon ®, Vitrex ® PEEK, Lexan®, Marguard®, and Lexguard®. This background provides an understanding of the processes used to manufacture and convert thermoplastic materials into finished product. 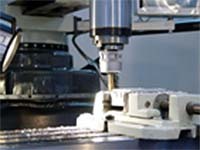 Established fabrication methods such as: injection moulding, extrusion, blow moulding, rotational moulding, RIM, and turning and milling of semi-finished engineering plastics are understood and many have been seen in practice. This technical knowledge and understanding about how engineering materials are fabricated and used in end applications is combined with extensive international commercial experience selling to OEMs, as well as working with distribution partners and export agents. With such a strong technical background in materials science, especially in engineering plastics, combined with broad industry experience, your products and services are quickly understood by us. Then, we can help you to deliver effective b2b industrial marketing and publicity which will add real value to your business.